commission for Kaysa . 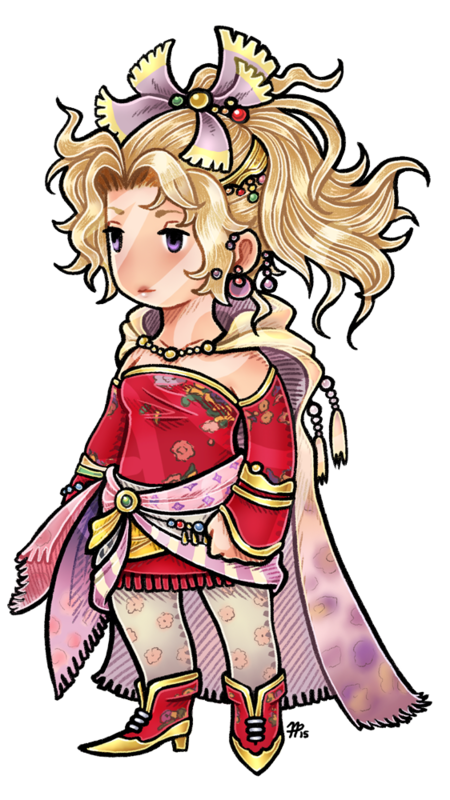 they wanted a ff3 styled Terra in her Dissidia look. Not being familiar with the "ff3 style," the noseless face actually gives me a bit of a FFT vibe, haha. Regardless, it's a nice clean design. Wait, does Terra in Dissidia have blond or green hair? she has blond hair is dissidia. though one of her alternate looks is her green haired ff6 look.